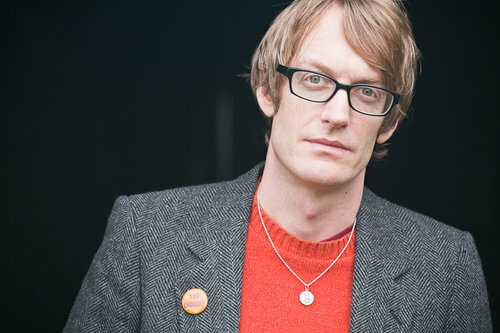 Patrick deWitt was born in 1975. His debut novel Ablutions (Houghton Mifflin Harcourt) was published in 2009. His second novel, The Sisters Brothers, will be published by Ecco in 2011. He lives in Oregon. Natasha Stagg: How long, approximately, would you say you’ve been writing? Patrick deWitt: I’ve been at it since I was 17, with a year lost here and there to your typical devil’s workshop/self-immolation type stuff. I’ve been reading with what could be called diligence or seriousness since about 14. PdW: I take a break once a week to mow the lawn. My landlady loaned me her edger but I can’t summon the zeal to fire it up. NS: What are your feelings on “writing on writing”? PdW: Suspicious but perversely fascinated. NS: Ever read the advice other authors give? PdW: If it’s someone whose work I’ve admired, of course it’s interesting to know their thoughts, and the gory details of their process. But more often I find myself being told what I must never do by someone whose writing I’m not moved by. This can actually be constructive in that all you have to do to make use of the advice is reverse it. PdW: You can get away with murder if you love and respect your ideal reader. PdW: I’m decades late to this, but I just discovered Gilbert Sorrentino. (Read the excellent article about him at The Believer site.) I’m working through his books but my favorite so far is Imaginative Qualities of Actual Things. A good example of what I mean by getting away with murder – charmed me completely.